We had written a review of the beginner jigsaw puzzles from My Greatest Child here. Following the first set, we had purchased two more similar puzzle sets, as Anouk seemed quite interested in the activity. Each puzzle box had a set a four, just like the previous. All the three sets were really good choices as an introduction to jigsaw puzzles. Each of the puzzle set had pieces varying from 9, 12, 15 and 20. 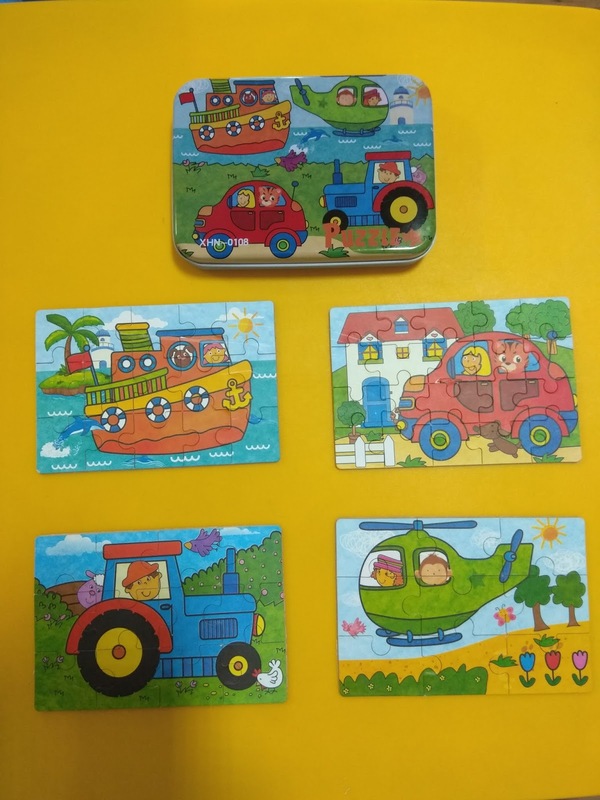 Like the previous, had really good picture quality and contrast, which were very important for a 3-year old to solve it all by herself. We had purchased these two puzzles in February'18, a week after the first purchase. 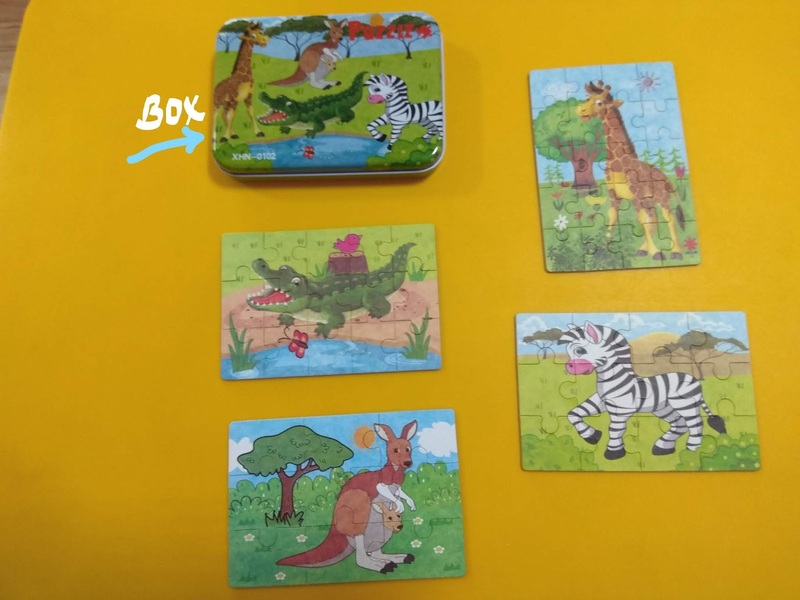 These three puzzle sets gave Anouk a very good idea about jigsaw puzzle solving and made her interested to solve more. In following months we graduated to 28 piece floor puzzles and 24, 35 piece puzzles from Ravensburger, which Anouk was able to solve all by herself. On that front, the beginner jigsaw puzzles were really worth it, for the sheer interest it has developed in the kid and makes up for a great hand-down stuff to her younger cousins. Below is the snap of the jigsaw puzzle boxes and all the solved puzzles. One of them had transportation theme and the other used wild animals. All the four puzzles per set are shown and have pieces varying from 9, 12, 15 and 20. Below are the videos of 3 year old Anouk solving these puzzles. Each video captures her solving all the four puzzles in a set. The videos are taken 3 months after we introduced these puzzles to her. By this time, she was already solving 35 piece puzzles and had just started 49 piece jigsaw puzzles. Hence she appears to be solving these simple puzzles decently fast (which was not the case when these puzzles were introduced). Lowlights : Nothing in particular; the basic puzzles ( 9, 12 pieces) might be too simple for 4+ kids.